Premium is not particularly positive at this precise point in time. Among the 15 best-selling premium brand vehicles in America in April 2016, seven sold less often than in April 2015, despite a 3.5% growth rate across the industry. Among vehicles with base prices above $50,000, nine of the top 15 posted declining April volume. Anyone who studied the list of brand-by-brand April and year-to-date results won’t be surprised at this discovery. 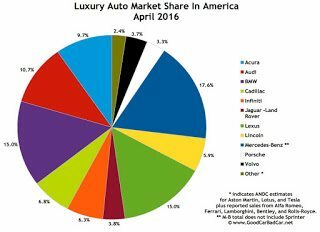 Through the first four months of 2016, U.S. sales at Cadillac, BMW, Lexus, Infiniti, Acura, and Mercedes-Benz are down. The losses are most keenly felt on the passenger car side of the ledger. Mercedes-Benz C-Class sales are down 15% this year. The BMW 3-Series has lost 31% of its volume. 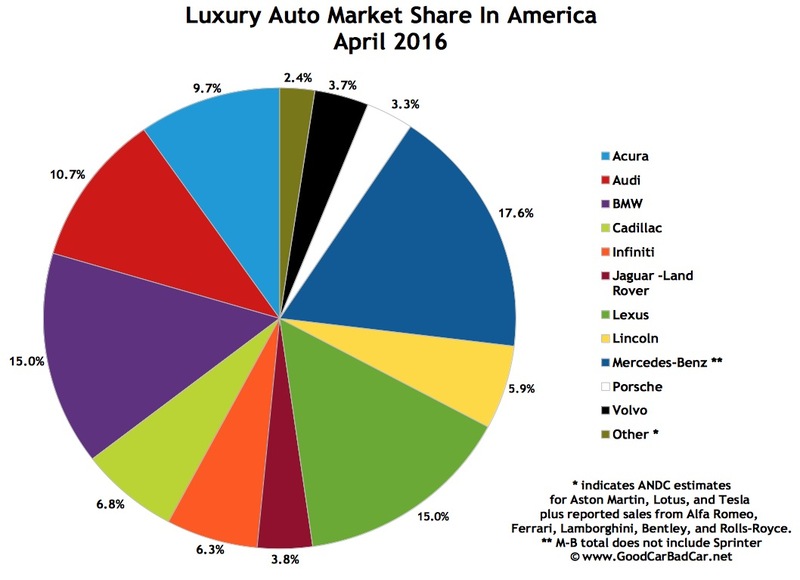 The Lexus ES and Acura TLX, the two best-selling cars at America’s two best-selling Asian premium brands, are in decline. Volume and profits are therefore increasingly sought after on the SUV/crossover side of the premium spectrum. Lexus RX sales, for instance, are up 12%, and the RX has built up a 9079-unit lead as America’s top-selling premium brand vehicle through the first one-third of 2016. Lexus’ four utility vehicles are up 14% to 56,924 units so far this year. 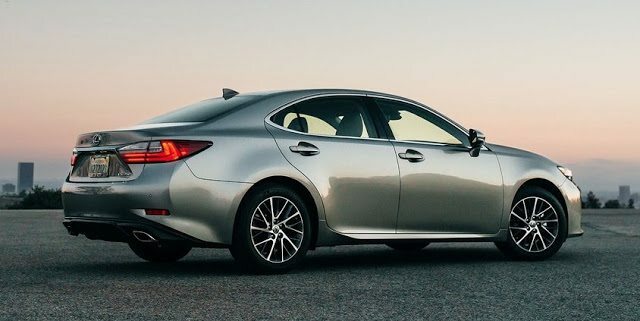 Lexus’ six cars are down 20% to 42,179 units.